Coming home has always been hard for me. I grew up in an abusive and neglectful environment, hence, all the dramatic, confessional posts from years past. I matured a lot since I started this blog and gained a lot of coping skills; I now see my family as three-dimensional characters instead of just antagonists in my personal story. Still, some factors at home make things stressful, like my family’s often oppressive silence. 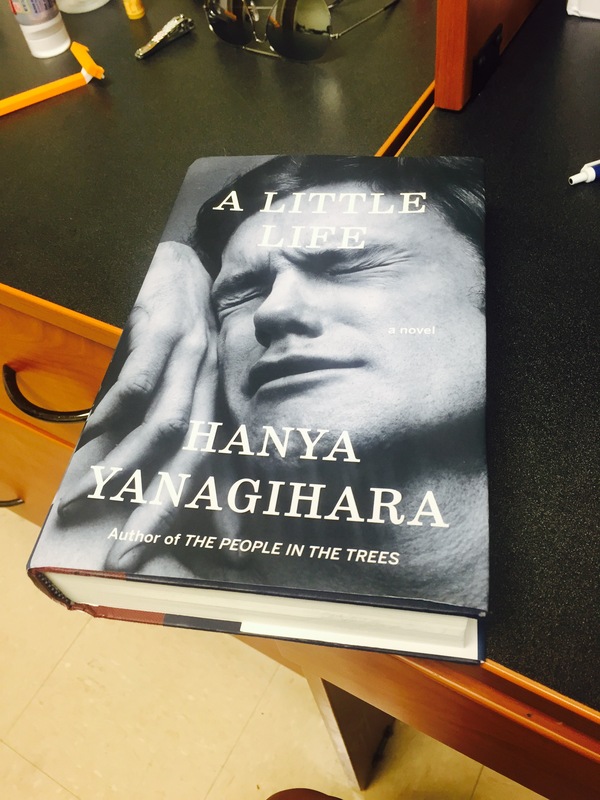 Two nights ago I wrote a review of A Little Life by Hanya Yanagihara, an epic book about four friends growing up together in New York City. One of the four, Jude St. Francis, suffered extreme sexual, physical, and emotional abuse throughout his childhood. As an adult, Jude works as an ambitious and renowned litigator. In addition to his handsomeness and his intellect, he forges several deep and tender friendships. However, Jude’s trauma continues to haunt him. He cuts himself in egregious ways to numb his psychological pain. He views himself as someone who only inspires disgust. He refuses to open up about his past. I write this post because Jude’s struggle reminded me a lot of the emotional abuse I suffered as a child and my personal battle with the scars it has left behind. I write this post to prove that hope exists for people like us, for people who experienced what no child should have to. I slept with this book after I read it. I kid you not. You can check out my review for more detail. My mother has always spewed venom at me. Barbed words that wither my soul, sharp insults that dampen my spirit, and putdowns that have perforated my self-esteem. Of course she has supplied me with many opportunities which I am grateful for, but overall, I cannot say that she has served as a shining example of the type of person, or parent, I strive to be.